It is a little more than 60-years since American singer Patti Page sang “How Much Is That Doggie In The Window?” – you know, the one with the waggly tail. It was a massive hit and stood at the top of the Billboard Chart for nine weeks. Clearly the American public loved songs about dogs or perhaps they were interested in the concept of pricing? The interesting thing about the lyrics of this hit song is that price was not the only factor in deciding whether or not to buy the doggie. The situation was rather more complex because the pet was being purchased for a lover who also needed something which would help him overcome the trauma of his partner going away for a short while. In other words, there was a complicating factor to the price – there was the issue of the love of the dog for the owner as well as the price being paid. We are all used to considering price in combination with a range of other factors when we decide to buy something. For instance, you may want to buy a new car, but you also take into account the additional cost of the increased fuel consumption this fantastic new model has. You may be able to afford the price of the vehicle, but can you also afford the additional fuel bill? Throughout the Internet you can find similar issues on any number of Internet Marketing pages. You are told the price, but in order to buy the product you HAVE TO sign up for an email newsletter. To you, the customer, that is an additional aspect of what you are “paying”. Rather like the “doggie in the window” where the price includes the fee for the animal and the loss of the partner, when you buy things online there is often and additional element of cost. These extra items could be the need to sign up for email offers, or it may be the requirement to watch a video before the price is revealed, or it could be the “special offer” is only available if you buy today. All of these are “additional costs” over and above the price. And there is a problem with that. Recent research shows that when the price is more than just the fee, then people perceive increased levels of risk involved in purchasing. And when people think a purchase is more risky they are less likely to buy. It means if you are an Internet Marketer asking for people to watch a video first, or demanding they sign up for your newsletter, makes it LESS LIKELY they will actually buy. 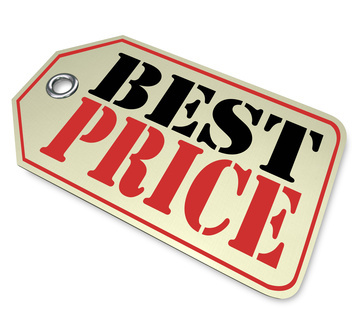 There is a simple way to ensure the maximum number of people buy something: just give them the price, pure and simple. If only the doggie in the window had a price tag. Totally agree Graham, I make it clear on my sites can so any browsers can find my prices/fees. I am so turned off by having to scroll down huge sales pages and as for having to watch a video that you can’t fast forward through … I used to collect and share these as examples of what not to do. Thanks Denise – you make a good point about the video that you cannot scroll through or control in any way. I suspect the people who put these on their sites think that we will sit and slavishly watch and will therefore be convinced to buy. I imagine if they looked at their analytics data it would show that most of us close the window fairly promptly..!